Thirty Meter Telescope, which is due to see first light (also on Mauna Kea) sometime in the next decade. At the helm is the University of California Observatories (UCO), which brings together astronomers from across the UC community to plan, support and advance the science and technologies at these unique facilities. 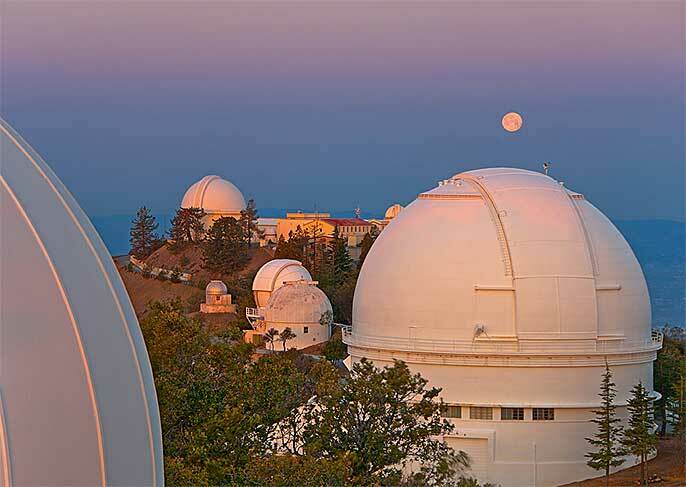 UCO is a multicampus research unit (MRU) headquartered at UC Santa Cruz, with instrumentation labs at UC Santa Cruz and UCLA, and participation from the eight UC campuses with established astronomy programs. UCO and its observatories are funded by the UC Office of the President, UCO's host campus, UC Santa Cruz, and from federal, private and other sources. UC’s goal and challenge in the coming years is to continue to partner — within UC and with external partners, donors and funding agencies - to find innovative funding strategies that can sustain Lick, advance Keck, and build and operate the Thirty Meter Telescope — all within UC’s fiscal constraints and guided by recommendations from our scientific experts. In recent years, the UC astronomy community has led or participated in several efforts to chart the future of UC’s investments in optical and infrared astronomy. The UC Office of the President is working with UC Observatories, and in consultation with the wider UC astronomy community, to consider and implement recommendations from these reports, and to ensure the long-term health and sustainability of each of our unique observatories and technical labs, which together form a vibrant research ecosystem for astronomy. To learn more, visit the UC Observatories website. To learn about other statewide or multicampus programs, click here.